*Just* in case you missed it somehow–I’m a little bit of a bookworm, Ok, ok–a BIG bookworm! I recently just gave my friend two huge loads of books and magazines because with the move we have to keep our weight down and I figured our 3 huge, completely full bookcases are already probably pushing it. Plus I love to pass along books to friends! And that’s why I’m super excited to be bringing you this great giveaway from FolkHeart Press! Just look at all the wonderful things included! 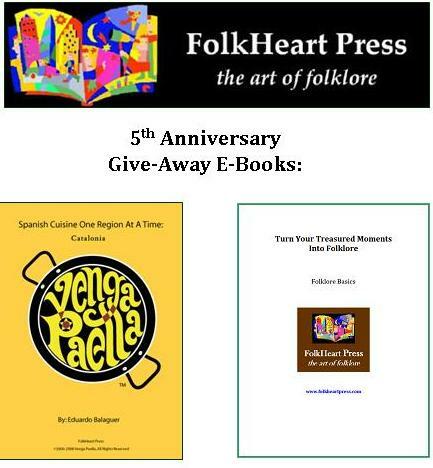 FolkHeart Press is celebrated its 5th Anniversary as an independent, boutique book publisher in August.